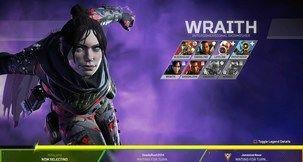 UPDATE: Here's how to get all 6! 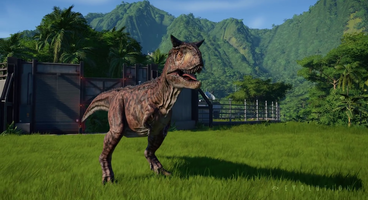 UPDATE, JUNE 18: Frontier has announced their Jurassic World Evolution DLC plans for full line-up of six dinosaurs coming to the game in the free Fallen Kingdom DLC this Friday, June 22. 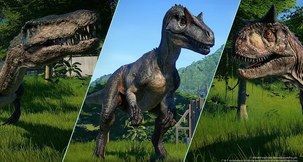 As previously announced it will include the movie's terrifying genetic hybrid the Indoraptor, but any players of Evolution who were concerned by the relative lack of carnivorous dinosaurs in the game can breathe a sigh of relief since 4 of the 6 DLC dinosaurs will be carnivores. 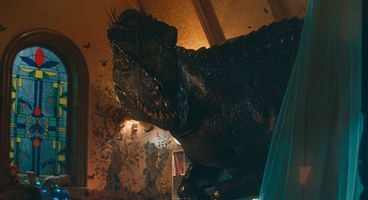 Indoraptor - the only other genetic hybrid in the game, along with the Indominus Rex, this is the movie's big new monster. Allosaurus - large carnivore. Seen in the trailers chasing the characters on the island. Baryonyx - medium carnivore. In the trailers it stalks the characters through pipes in a very Alien-like way. Carnotaurus - large carnivore. 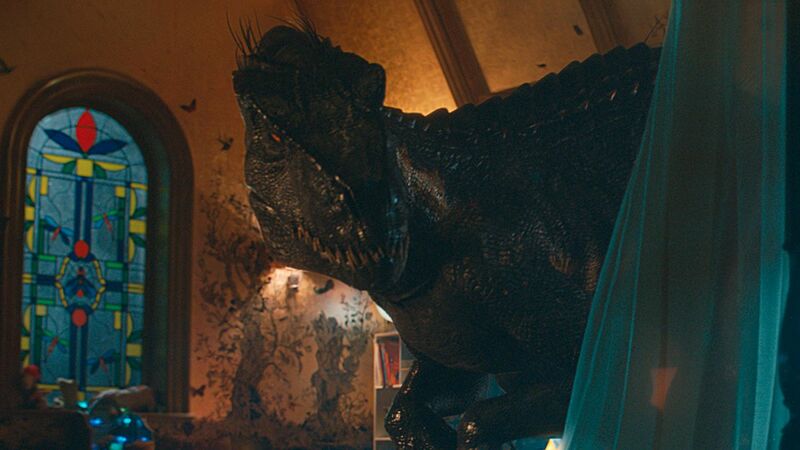 Has horns on the side of its head, and has a key scene with a T-Rex. Has actually already had his in-game appearance revealed on a developer video. Sinoceratops - medium herbivore. Of the same family as Triceratops and Chasmosaurus, notable for holes in her head frill. Stygimoloch - small herbivore. Similar to Pachycephalosaurus, with the hard head for ramming things, except with extra horns. "It has a really creepy way of moving. It’s on all fours like a huge raptor dragon. It has huge, long claws that it pulls itself along with, and it kind of twitches. It’s like it’s not quite right, it’s not quite made properly. It’s one we had to start completely from scratch. 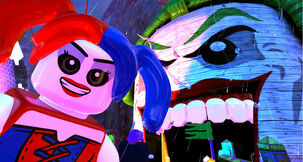 We really enjoyed it because it moves in such a mad way, it really gave us a chance to push the boat a little bit on the animation." 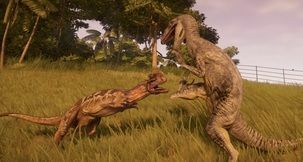 Jurassic World Evolution is now available on PC, PS4 and Xbox One, and while it has some flaws we really enjoyed it. The free Fallen Kingdom DLC will be out on June 22nd, and can be fully used in the game's existing scenarios. 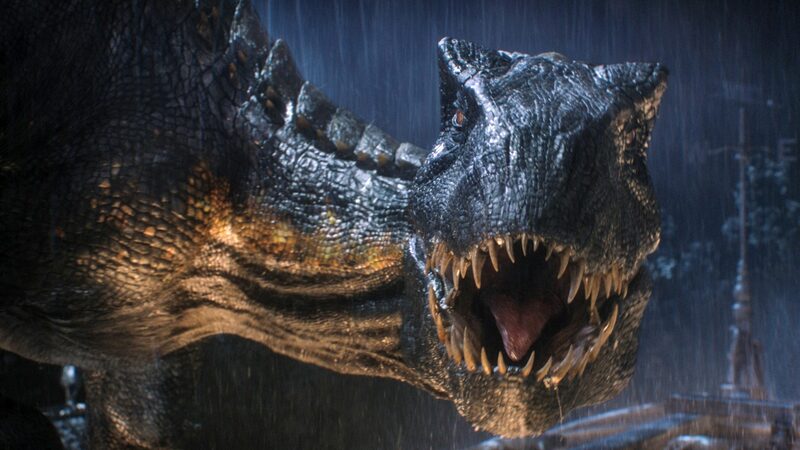 ORIGINAL STORY, JUNE 4: According to developer Frontier, Jurassic World: Evolution will get tie-in DLC for Jurassic World: Fallen Kingdom, the new movie in the franchise. This was previously announced, but now we have a few more details about the promotional DLC. We recently spoke with the developers about the game alongside a hands-on, and we asked them about DLC for Jurassic World: Evolution. While it may get more later, they were only willing to talk about the Jurassic World: Fallen Kingdom expansion. 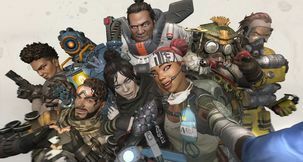 They told us the DLC would be free, would be adding dinosaurs from the movie, and would launch alongside the movie's US release - June 22nd. "Universal did a good job of briefing us about what they’re doing with the film. 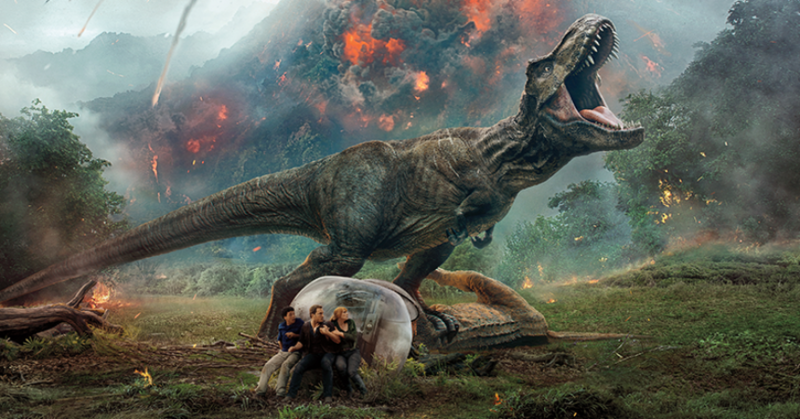 We’ve already announced the free Fallen Kingdom DLC, we’ll be adding some of the new dinosaurs to accompany the US release of the film (June 22nd). Not saying how many, not saying which ones! Some of our favourites are in there, and some challenging ones too." 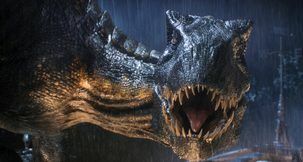 Presumably the terrifying main new dinosaur seen in all the trailers, the Indoraptor (pictured above) will be the highlight of the DLC. We can imagine she'll be a real challenge. Jurassic World: Fallen Kingdom actually opens in the UK this week, on June 6, but for some reason the US release isn't until June 22 - which is when the free DLC for Evolution will drop, presumably to not give US audiences spoilers - although we're pretty sure just being on the internet after June 6 will handle that. 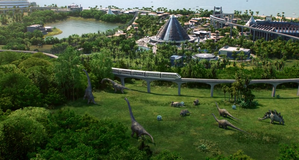 Jurassic World: Evolution itself launches June 12. 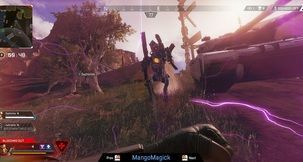 You can check out our interview with Michael Brooks and Chief Creative Officer Jonny Watts, as well as our hands-on with the game, right here - or check out our exclusive gameplay below. Yes, the T-Rex is in there.